Exploring the efficacy of e-Transfer Interac casinos for Canadians. Chances are, if you own a smartphone, you’ve paid for something with a simple tap or swipe. In today’s fast-paced, technology driven world, mobile payments are often chosen for their speed, security and overall efficiency. 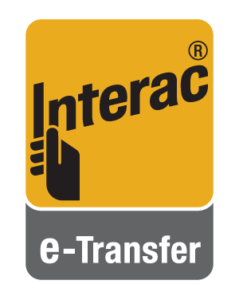 Here in Canada, nothing fits the bill quite like Interac e-Transfers. This direct payment system isn’t new. It’s not a burgeoning work in progress. It’s actually been around for more than three decades. However, the efficacy and digital utilization of the service has grown tremendously in recent years. One of its most common uses of late is the processing of payments to Canada online casinos. Moving funds overseas requires the strictest security measures. Internet gaming enthusiasts have come to trust Interac as a safe, quick, reliable and cheap way to deposit and withdrawal online. In the following segments, we’ll discuss what Interac is, how e-Transfers work, and why it has become one of the most popular means of conducting transactions at Canada casino. Interac is a Canadian interbank network, and the brainchild of five of the nation’s largest financial institutions, RBC, CIBC, Scotiabank, TD and Desjardins. Established in 1984, the direct payment system serves as Canada’s universal electronic debit card system. Over the years, its acceptance rate has grown exponentially. Interac is now supported by banks, credit unions and other financial institutions all across Canada. There are hundreds of thousands of retailers and online merchants accepting Interac payments. The company currently averages a fulfillment rate of about 16 million payment requests per day. As of 2018, the entire program is operated under a single entity, Interac Corp. Prior to the government-approved consolidation, Interac was a joint venture between Interac Association and Acxsys Corporation. Now, operating under a single company, many of the former complexities of the payment service have been alleviated. In essence, e-Transfers are now faster and more convenient than ever before. 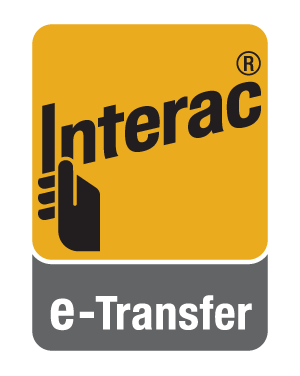 Are e-Transfer Interac Payments Safe? Absolutely! Use of the digital debit system is remarkably safe, especially when compared to physical credit and debit cards. The organization employs world class security and consumer protection systems, and sophisticated fraud prevention and detection programs. In fact, Interac Corp boasts one of the lowest fraud rates of any financial company in the world. 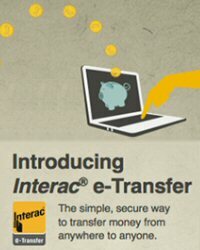 How Do Interac e-Transfers Work? Interac’s debit system works by electronically processing funds directly from a user’s bank account. The only requirement to use Interac Online is to have an account with any of the 65+ banks, credit unions or other financial institutions that employ the service. Just look for the Interac logo, or see the complete List of Interac Online Participating Financial Institutions. When using Interac, none of your sensitive banking information is shared with the merchant site or any third party websites. After choosing Interac as your payment method, you are directed to your financial institution’s online banking website. There, you will login is as you normally would and confirm the payment details. The financial institution handles the rest, debiting the funds from your account, just like swiping a debit card at a retail outlet. Not at all! In fact, they’re almost always free for customers. Interac does not charge any direct fees to customers or merchants. The only fees they charge are to the financial institutions and the owners/operators of automatic banking machines (ABMs) that employ the service. That doesn’t mean every Interac transaction will be free, though. A financial institution can pass that cost on to the merchant at their discretion, and in turn that merchant may pass it on to the customer. Be sure to check the payment terms to see if there are any associated fees at the Interac casinos you sign up with. The list of Canada casinos that accept Interac e-transfers isn’t a very long one – at least, not yet. For the moment, every gaming website regulated within Canada accepts this payment method, and only about half as many outside the country. The good news, however, is that they’re all wholly trusted and highly reputable websites. Interac Corp won’t do business with any less. Canada’s provincially run operations are under strict regulatory supervision, employing state of the art security systems, social responsibility programs and consumer protection protocols. On the downside, these sites are only available in four provinces (BC, Manitoba, Ontario, Quebec). They also lack the promotional value, game variety and liberal sports betting rules of internationally regulated websites. As previously noted, there is a small handful of offshore e-Transfer Interac casinos for Canadians. Their numbers are expected to rise in the foreseeable future, due to the constantly evolving, global regulatory landscape.